Do I believe in magic? Do I believe in Christmas? Yes, you can bet on it! All magic is not an illusion. Magic is something that could happen in an instant. It could be that magic moment when two people meet or when kindred souls mingle. Or when their thoughts become entwined. An experience shared, a touch, a kiss... a moment of bliss. That's magic! When a child is born, when you hear it cry, a father's delight and a mother's sigh. That's magic! When you look around and suddenly you've found, that friend, you thought, you had lost. That's magic! When you are greeted with a wink or a smile, it makes all those little things worthwhile, That's magic! When there is peace and harmony and no acrimony! That's magic! One of the most magical places on earth is here... in Englewood. Where the weather is grand and everyone gives a helping hand. Just think back to all the benefits that YOU have contributed to. That's magic! When everyday, there is an event and some I had to miss, I won't boast....I tried to cover most! Everywhere I went, thanks to you, there was magic. Combining it with Christmas is....Wishing all of you a Very Happy Christmas Magic Holiday. Especially for Dennis, w2gp. Magie, my web site manager. Micki, Chris, Kevin for giving me this opportunity, your encouragement and support. 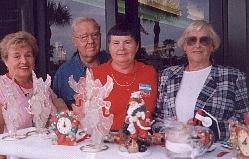 My family; and friends, Carol, Charlie, Sandy, Al, Rosemary, Jerry and I don't have enough space to name all of you. 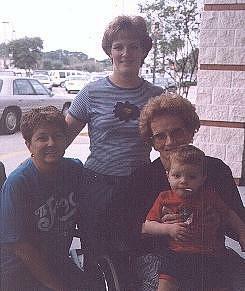 Four generations Grandmother Beverly Hess; Heather McCaslin, Great-grandmother Beulah Springard and Corey McCaslin. 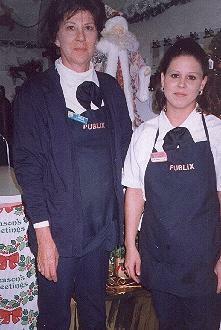 Linda Sisk and Danielle Powell, good thing they had helium for all those balloons. If you would like to get in touch with Maryjo contact her at the Englewood Sun Herald, 167 W. Dearborn St., Englewood, or call 474-5521 or 475-1079, or e-mail her through her web site at: http://users.sunline.net/maryjo. 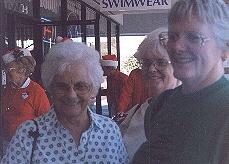 Esther Dorman, Betty Kozan and Bonnie Dunkle. 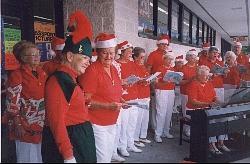 Fun Chorus of Englewood, strolling and singing at Merchants Crossing Shopping Center. 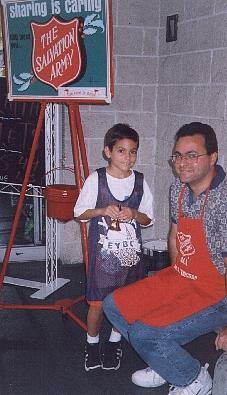 Starting young, bell ringer, Colin Lounders and Dad: Kenneth Lounders. 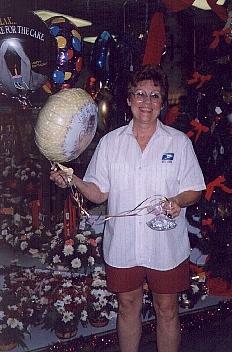 Bernice Brannon, balloons for what party? 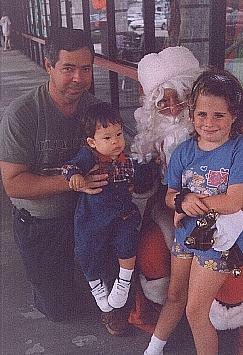 Randy Joshua and Joy McLendon, with Santa. 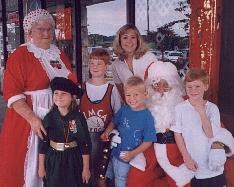 Mrs. Claus (Ellie Urenn); Elf, Sandy Goring; Matthew Wojcik; Mom, Judy Wojcik; Joey Wojcik; Santa Claus and Daniel Wojcik. 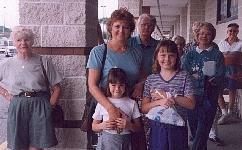 Judy Nielsen; Wendy Hopfner; Nicole and Ashley Orr; in the background is: Kai Nielsen and Mary Anne Schwaback. 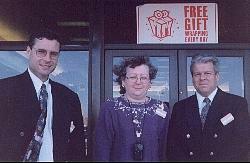 Waiting at Beall's for their gifts to be wrapped: Leo Milewski, Paul Corliss, Fred and Rita Copley. 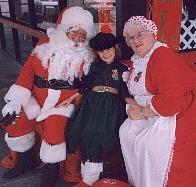 Carolyn, Jenna, and Carrie Exelby. Charlotte Vardy; Ralph Klein; Rosemary Kopcso and Jean Klein. Rhoda's Manager, Suzie Neyland in the background, enjoying the Fun Chorus of Englewood. 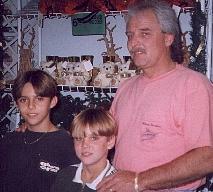 Chris, Derek and John Yeomans. 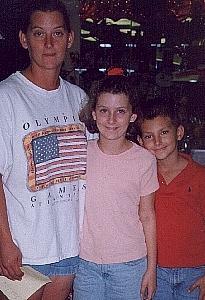 Andy McCaslin; Grandma, Beverly Hess and Corey McCaslin. 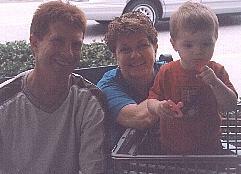 Jack Maleody, Kathy Kunf and Brian Stack. 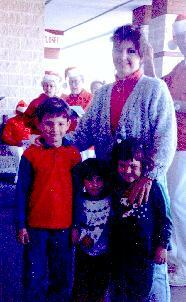 Looking at their list and checking it twice are: Tina, Crystal and Jonathan Koerbel. 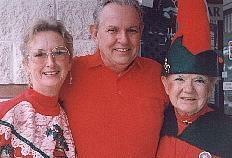 Margie Hockensmith, Phil Shepherd and Georgia Deck. "shop til you drop". 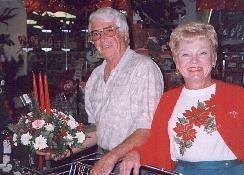 Yes, Don and Marlene Penrod, I would love that center piece!